Modular Construction: A Housing Affordability Game-Changer? Is the future of apartment construction indoors? 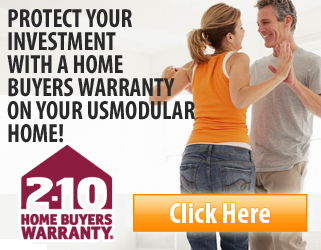 That’s the bet a number of modular construction companies in the Pacific Northwest are making. Building in Cascadia is expensive. Labor is scarce, and rents have surged since the last recession. Firms like Blokable, Katerra, and OneBuild say that by moving much of the process off building sites and onto factory floors, they can cut the cost of constructing multifamily housing by over half. They also say they can finish projects in half the time. If these claims prove true, these companies and other like them could shake up the housing industry in cities like Seattle, where the total cost to produce a single apartment home can surpass $300,000. The costs of physical construction—the “hard costs”—are the single biggest determinant of the selling price or rent of a new home. If modular construction slashes hard costs, homebuilders will make more homes—precisely what’s needed to control rising rents in cities facing housing shortages. Cutting hard costs also makes it possible to stretch public funds further, yielding more subsidized homes for low-income families as well. So modular construction could be a housing affordability game-changer. Modular construction is hardly new. Mobile homes, a type of modular housing, have been a popular form of inexpensive housing for decades, and single-family modulars have become a relatively cheap option for first-time homeowners and empty nesters who don’t need lots of space. What is new is the idea that modular construction methods can be used to revolutionize the entire construction industry. This could be especially true for apartments and condos—the productivity of which has barely increased since 1945, according to the McKinsey Global Institute—and bring down the cost of housing in the process. To understand why multifamily housing construction is so expensive, it helps to know how it’s usually built. The orchestrator of the whole process is the developer—the business person who puts the deals together, securing funds from a bank or investors (or government or charitable agencies, for subsidized housing), and hiring professionals to design and construct the building. Typically, the developer selects a general contractor, and that contractor, in turn, hires subcontractors, who then often hire sub-subcontractors, and so on. Eventually, the contractor at the bottom of this chain actually does the work. Every layer of subs takes on some of the huge risk of a giant construction project but also drives up costs. Meanwhile, construction labor is at a premium nationally in the United States, and even more so in Cascadia’s booming major cities. According to a recent analysis of affordable and market-rate multifamily construction costs in Portland, “a severe shortage of both skilled and unskilled labor in the PDX construction market” has led to cost escalation greater than the rest of the country. This shortage boosts construction wages and the cost of housing. On top of that, many construction workers cannot afford to live in the expensive cities that most need more housing, creating a vicious circle of rising rents exacerbated by a lack of a local workforce to build homes, and so on. Modular housing minimizes the layers of contractors, putting most or all of the construction processes under the control of one company. It also standardizes everything it can, making home construction more like a modern, automated clothing factory and less like a tailor shop, where each garment is made by hand to custom specifications. Some modular companies, like Katerra, build prefabricated components that can be put together quickly at a building site; others, like Blokable, manufacture entire apartments that just need to be stacked into place like Legos. But all have essentially the same mission statement: By eliminating some of the players and processes that make traditional housing expensive, modular boosters say, they can build more housing, faster, for less. In any growing city’s housing market dance, homebuilders pause when the stockpile of new homes pushes down rents to a level where it’s no longer profitable to build. But when costs can be cut—through cheaper construction methods like modular building or other cost-reducing measures—the no-build tipping point occurs at a lower rent. The result is more new homes get built, and rents drop that much further before homebuilding slows down. 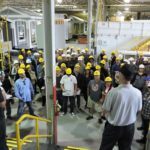 If modular construction can deliver anything like the savings its proponents project, it could take a giant bite out of rents and prices. The same goes for the production of subsidized affordable housing, increasingly threatened across the US by the ongoing loss of federal and state funding. A big reduction in construction costs could enable non-profit developers to move projects forward with less public subsidy. Contact the experts in modular construction in California: USModular, Inc. for more information!